You guys. Baby Awesome turns ONE next week. This time last year I was super pregnant and waddling around like a penguin. I can’t even believe how fast the time has gone. It really feels like we’ve only been parents for a few months, and pretty soon Baby Awesome is going to be Awesome Toddler. Then it will be Christmas, then New Year’s, and then 2016. Crazy! Test Your Smarts – Take the healthy activities quiz. I think the questions are pretty good. I am happy I got them all right, too! 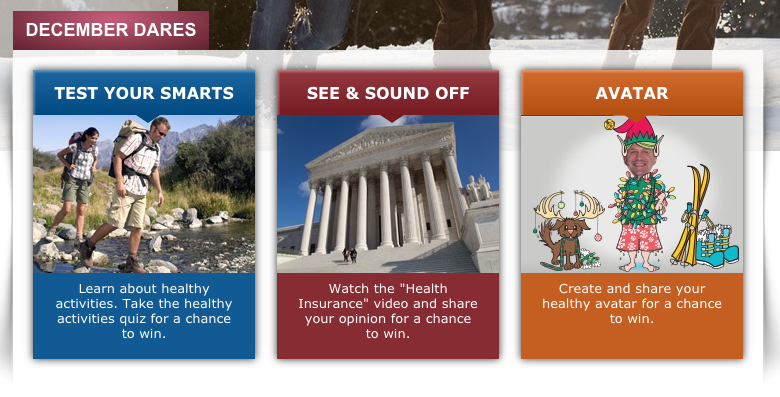 See & Sound Off- Watch a health insurance video and share your opinion for a chance to win. The video is a little over four minutes long but I think it’s really helpful especially if you are going to be signing up for a new health plan in 2016. After the video you can answer questions for a chance to earn entries. Avatar- This one cracks me up. You get to create a healthy avatar of yourself. 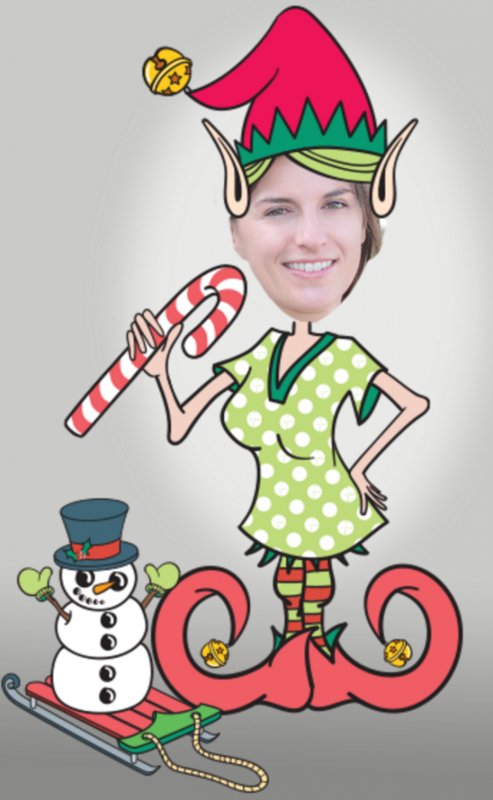 I call mine an “Elfie Selfie.” You can check it out below! And now it’s time for another fun part of the December 2015 Dares – The Fit & Awesome Giveaway! Every month there is a prize on the We Dare You site. This month they are giving away a $400 pre-paid gift card. In addition to this prize, you have the opportunity to win an additional prize by entering through Fit & Awesome. This month we’ve decided to give away a $100 gift card to REI. Why? Because it’s winter and the holidays and we want you to have a chance to stock up on some new outdoor adventure gear. 3) Take any of the three December Dares (Test Your Smarts, See & Sound Off, and the Avatar). 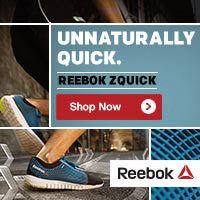 Use the promo code “FITANDAWESOME” when entering. If you complete all three dares you will receive three entries. What about you? What do you love about December? Any big plans for the holidays? Post in the comments and let me know! I have to say that December is not my favorite month as I am not a fan of winter. I am enjoying the mild weather this year, though. What a cool giveaway! Love the DARE concept! And your site is great, so glad to have found it! Happy Holidays! Thanks so much for the kind words, Elizabeth! I’m glad you found my site too. Happy Holidays! We will go to church to Christmas eve for the candlelight service. We’ll open presents with my daughter Christmas morning and then go to my parents house for dinner. I like to stay away from the stores in December, and I love going for walks and baking healthy treats, esp to share! I love December – it’s almost the end of the year..lots of holiday parties and time off work. Christmas I’m headed to my sisters house an hour away. The think I love most about December is preparing for the New Year!!! New goals, new adventures and new memories! Yay! I agree. I love goal setting and planning for the year ahead. What do you hope to accomplish in 2016? I hope to get a better routing for drinking more water. I also hope to travel to some amazing places to climb. We have a lot of great places around here (Colorado Springs) but I would love to add new and further away ticks to my list! I love the food and time you spend with family. Time with family is so important! I love getting together with family in the month of December. We will be running the annual Midnight Special on New Year’s Eve, it starts at 11:45 and you get to run through the new year. The kids really like doing the race, its are fifth year in a row! Hi Jeffrey! That sounds like a blast. Happy New Year to you and your family! I love the holidays and I am a December baby, so of course, my birthday! Nice! When is your birthday? My daughter is a December baby, too. 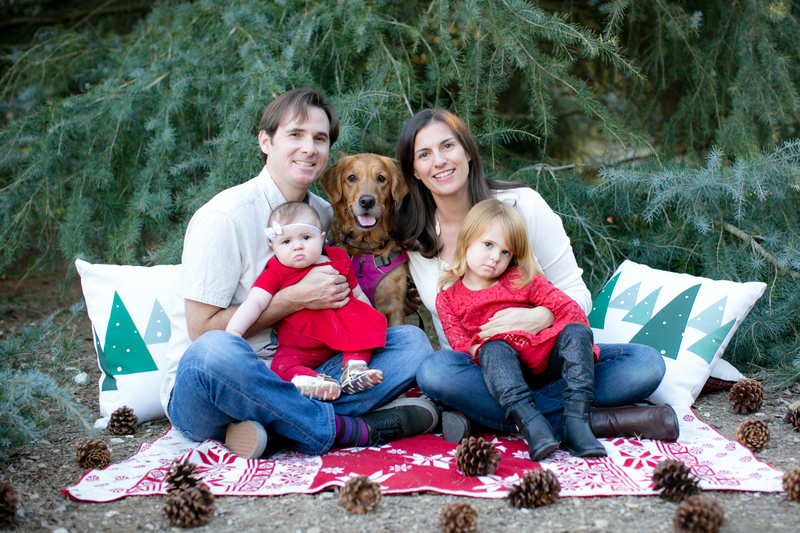 I love spending time with family and enjoying the festive atmosphere the holiday season brings. I love the snowy weather. I love Christmas since it brings the whole family together. That is one of the best parts about Christmas! I love spending time with my family during the holidays. My favorite part about December is giving gifts and cross country skiing! I swim 3 times a week, but not these last 2 weeks since the pool has been closed for 4 days each week.